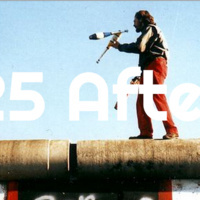 This unique event critically commemorates the anniversary of the fall of the Berlin Wall on November 9, 1989, bringing scholars, artists, journalists, and others to discuss how the intervening years have impacted the lives of former East and West Germans and today’s political landscape in Germany and beyond. The centerpiece of the commemoration is the US premiere of the play 1989 [Exit Ghost] performed by the Dresden-based troupe theatrale subversive at the Graduate Center of the City University of New York on Thursday evening, November 6, followed on Friday, November 7, by an afternoon symposium at The New School. The play on Thursday, November 6, addresses generational change in East and West and takes its cue from famous rehearsals of the Hamlet Machine by Heiner Müller in 1989. It is performed by a cast of young “third generation” actors from East and West, whose experiences contribute to the play, and who combine contemporary issues and documentary sources into an innovative and provocative piece of contemporary theater. The symposium on Friday, November 7, brings together a rich combination of voices to reflect on a quarter-century since the end of the Cold War. Panelists will explore generational change, art and memory, what it means to be “left” in united Germany, and political, economic, media and cultural shifts since 1989. - Melanie Lorek, Sociologist, CUNY; and others. This event is presented by The New School Global Studies Program in cooperation with the City University of New York, with the generous support of the Rosa Luxemburg Stiftung, New York Office, and the German Federal Culture Foundation (Die Kulturstiftung des Bundes). This event is funded by the German Federal Cultural Foundation/Doppelpass Fund.